OK, TV hipsters. Here’s your red meat. The Office (US) is better. 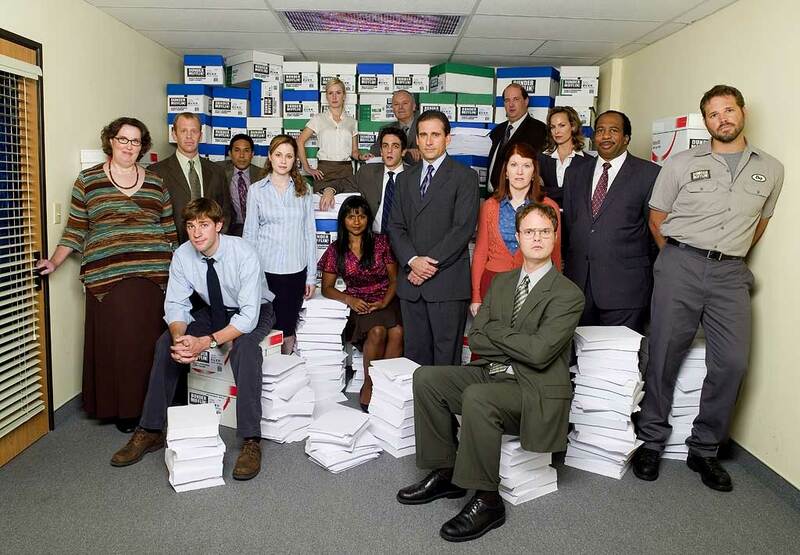 The US Office lasted nine seasons – two of them short ones, but most of them with twice as many episodes as the entire run of the British series. That’s a lot of hours of TV – which doesn’, in and of itself, make the US version better. Hell, Laverne and Shirley and The Brady Bunch were on the air forever, too. Both shows started with the same premise – strangers stuck in an artificial environment. Ricky Gervais’ British version ran for 14 episodes of over the top absurdism. The American version had to fill in a few other things to fill all that time; characters that developed over time, stories that had legs, nuances and subreferences and a depth to the writing that may not have been as explosively outrageous as the Brit original, but keeps a lot better over time; I have watched most of the US episodes several times – because there’s a reason to keep going back; I’ve seen each Brit one twice, and after two years I can probably think about doing it again, maybe. So put a sock in it, hipsters. This entry was posted in A 'n E and tagged Love and Hate by Mitch Berg. Bookmark the permalink. I like the office. Rent the DVDs, watch the out takes (which are not bloopers, but cuts made to fit the 26 or so minutes). And the comments. Have to agree, I watched most of the US series through Jim and Pam’s wedding (which was after Steve Carrel left the show) and find pretty much all of the episodes to be eminently rewatchable. The UK version? I’ve seen the Pilot episode and the Christmas Special so I know how it starts and it ends but I’ve never felt the urge to see what happened in between or revisit either of the bookends. There’s just NOTHING likeable or interesting about any of the characters that I’ve seen in the UK version. If they all died in the end like Blackadder or Blakes 7, I can’t say that it wouldn’t have improved the show. Ah I think you’re right, the last storyline I remember watching was when Andy went to Florida to get Erin to return. I think my watching between that and the wedding episode was a little more irregular (saw most of the episodes but it was no longer a show that I made a point to watch every week that it was on).